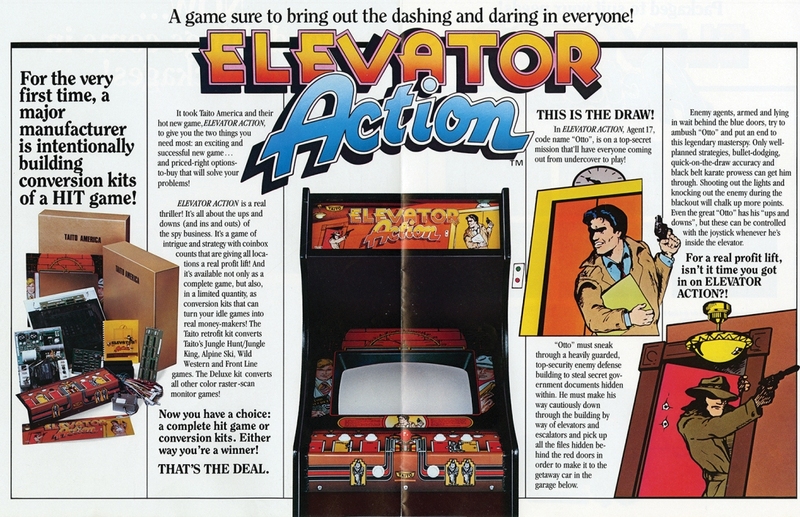 In a building filled with elevators, you play a spy who must collect secret documents and then escape through the basement. Enemies appear from behind doorways, but you can shoot, kick, drop a light on them or even crush them with the elevator you are in! Last played MGL28 in 2016. The "I'll play again when I could give a stuff" opening score - 7450. One of my favorites! 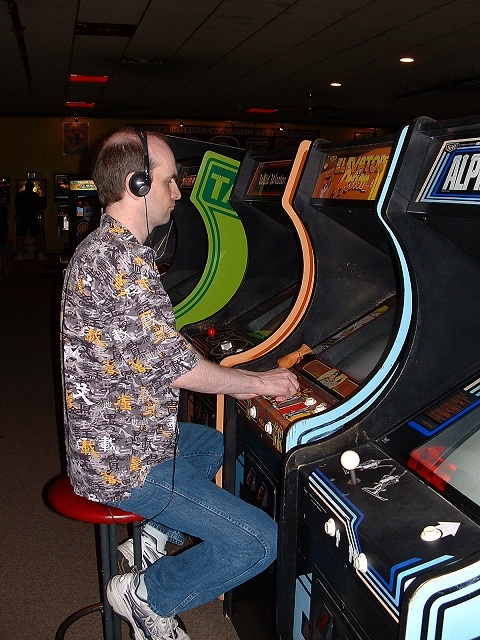 Some historical arcade context. This game was in between a Frogger and a Frontline at my local arcade. Somewhere along the line - one of those was replaced by Swimmer! Last edited by BandontheRun; 1 Week Ago at 05:40 AM. Very true. This is a hard game just on easy, medium spices it up even more. Interesting that all the barcades I have visited, including Netherworld, do not have Elevator Action. I am guessing Pincadia doesn't either. 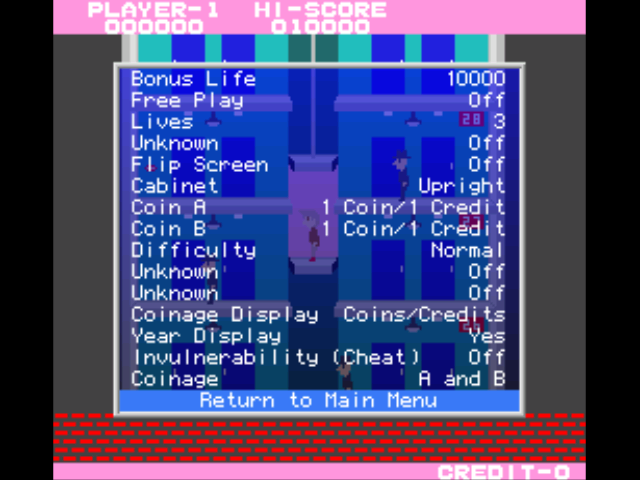 It's a coin muncher even on easy. You seem to have vanished in your screenshot. Are the bad guys using evaporators instead of bullets? Last edited by OOO; 1 Week Ago at 08:27 PM. I haven't played this one for awhile, one of my favourite games.